In my day to day routine at work I can easily forget how lucky I am to have the job I do. Growing up with an interest in history and museums, I take for granted that I can make a career doing what I love. Occasionally I am involved with projects that “wow” me or remind me that “my job is pretty damn cool.” One recent project I was involved in was the restoration of a local forgotten hero, one I have come to respect more. William Grayson was born ca. 1740 in Prince William County, Virginia at his father’s home “Belle Aire.” William was well educated, attending school in Philadelphia, Oxford and the Temple in London. He practiced law in Dumfries (county seat of Prince William County) and rose to political prominence locally and regionally. He was a contemporary and friend of the Washingtons, Fairfaxes, Carters, Lees and Masons. He assisted Richard Henry Lee with his 1766 Leedstown resolutions to protest the Stamp Act and from then on became a vocal critic of Great Britain and the Crown. Grayson’s war time service in the American Revolution is sketchy at best. Many claim he was “aide-de-camp” to George Washington – but, it seems a fashionable thing to say someone was an aide to Washington in the war. There is no documentary proof of this status and it seems many people use this “title” as a way to prove prominence. Luckily for Grayson, he did not need such a title as he was a commissioned a lieutenant colonel in the Continental Army and raised his own local regiment. He fought in the battles of Brandywine, Germantown and Monmouth. He resigned his commission in 1779 and served on the Board of War. At the end of the war he became a charter member of the Society of the Cincinnati (an organization of veteran officers from the Continental Army). Though an active member of the military during the American Revolution, Grayon’s rise to prominence mostly occurred in the post war years. He returned to Dumfries to practice law and quickly became elected to the Virginia House of Delegates. In 1784 he was elected to Congress and worked on the creation and passage of the Northwest Ordnance – a critical piece of legislation that planned the westward expansion of the country. Grayson served in the Virginia Constitutional Convention and joined George Mason and Patrick Henry in opposition to the new Constitution. Grayson argued that the new government was neither strong enough nor decentralized – that it would become despotic or dissolve. The government was trying to be two things that could no coexist in longevity – something that many have said led to the Civil War. Virginia eventually ratified the Constitution and as a staunch Anti-Federalist, Grayson became one of the favorites to serve as a US Senator for Virginia. 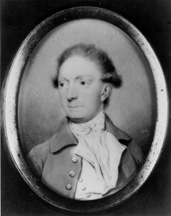 With the help of Patrick Henry, Grayson was elected by the Virginia General Assembly to become Virginia’s first US Senator. He served in this position until his death in 1790. He is buried in the family vault at Belle Aire and here is where my connection with him begins. the Graysons has succumbed to suburban development. The home of Belle Aire is gone as well, but a 19th century house now sits on the site. The property is owned by the Good Shepard Housing Foundation, a local charity that supports the working poor, disabled and elderly. By 2010, the condition of the tomb had severely deteriorated. The County in 1975 pursued restoration and public access to the tomb, but it was met with strong opposition and the plans were shelved. 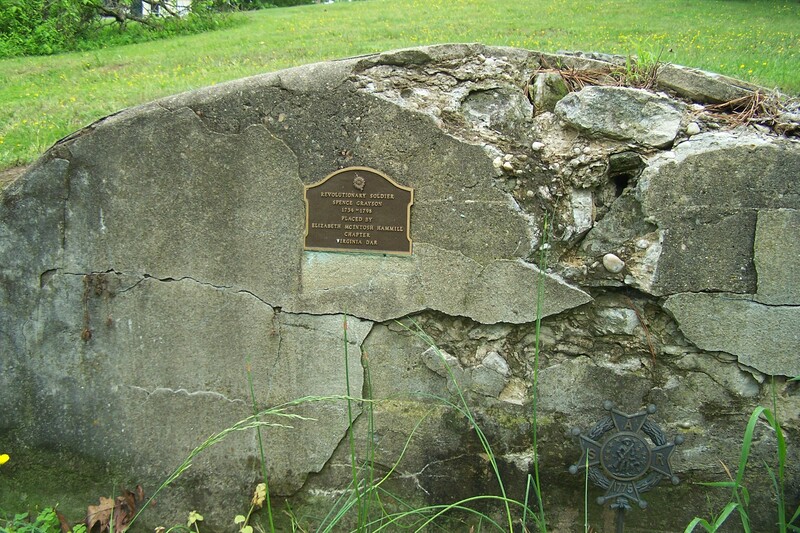 In 2014 the owners of the property, with assistance from the County and local Sons of the American Revolution began to look into the possibility of restoring the tomb and opening the site to public access. With the support of a generous donor, the Good Shepard Foundation agreed to allow County staff to research, restore and “open” the site to public access. It was first determined to allow the County archaeologist to begin physical research on the tomb. In the 1990s, archaeology was done around the tomb and burials were identified in the area outside the tomb. These were relocated and the decision was made to open the tomb itself. This would not involve a large hole, but rather enlarging a current hole in the tomb and inserting a video camera to capture the condition of the interior. This allowed staff to determine just what could be done on the outside of the tomb. Prince William County Preservation staff insert a camera into the tomb. After carefully removing 1930’s era mortar, a camera was inserted and we were all amazed by what we saw. 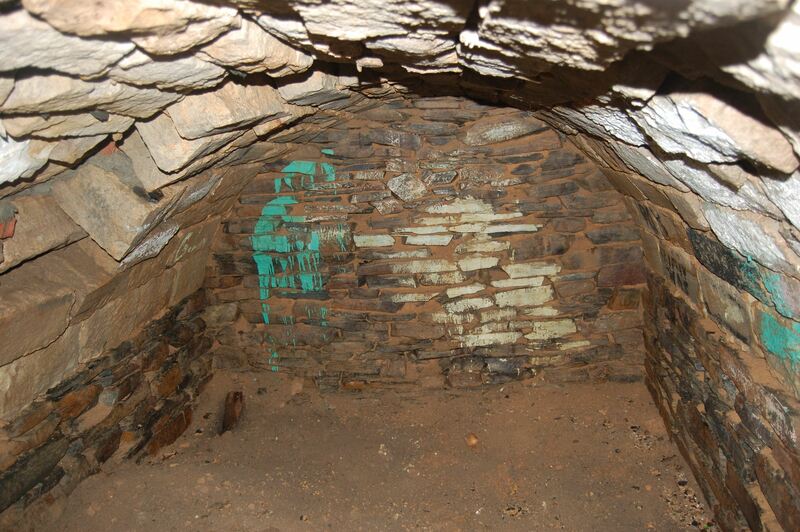 Inside was a well intact barrel vaulted stone tomb, that showed various repairs. Also, on the front and back walls were ca. 1960s graffiti and beer cans – so at some point the tomb was completely open to the elements. No burials were identified inside and the mystery remains what happened to the Grayons that were buried in the tomb. Interior of the tomb showing several stone repairs and ca. 1960’s graffiti. 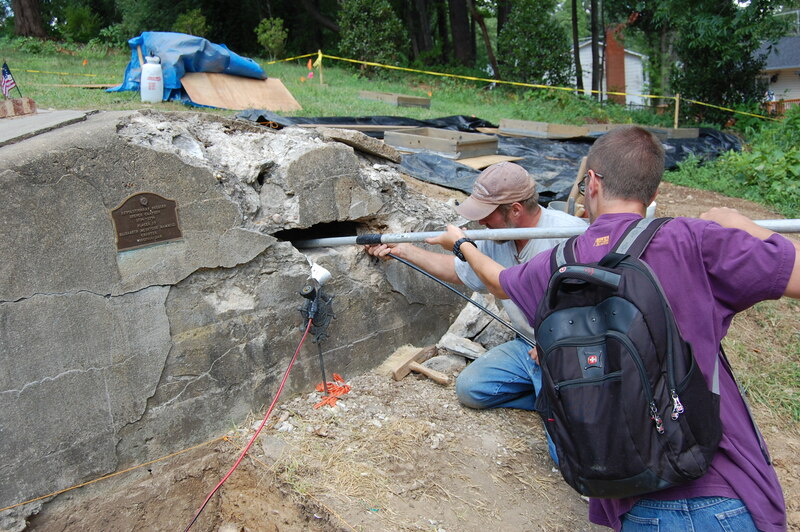 After the archaeology was completed, County staff began to repair and restore the above ground portion of the tomb. Using wire mesh and a light skim coat of breathable sealant, the top was covered and a water barrier added. Not wanting to add a lot of weight to the top of the structure, this was deemed as the best way to strengthen the outer layer without adding much weight. As the work on the tomb progressed, the local chapter of the Sons of American Revolution recruited two Eagle Scouts to install a trail to the tomb, landscaping and fencing. This was important to separate the trail and public area from the important work the Good Sheppard Foundation does in the current adjacent house. With the help of the Eagle Scouts and with a generous donation of funds to pay for materials, the work was completed by fall 2014. 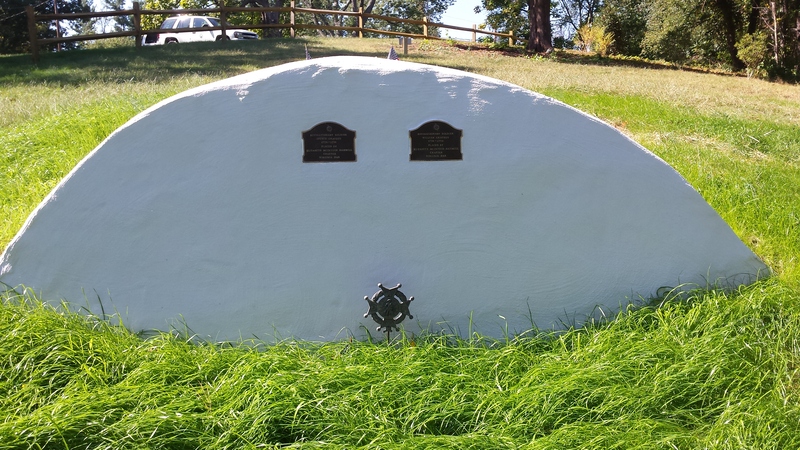 Also, all the identified exterior graves were marked and new SAR markers were installed in front of the tomb for William Grayson and his brother, Spence Grayson. Future plans call for installation of a County sponsored interpretive marker as well as directional markers to the site. The tomb of William Grayson is located at 2338 Longview Dr., Woodbridge, VA 22191. There is a small visitor parking lot and a short walking trail that will lead you to the tomb.